Fears of the effect of lower foreign investment inflows to the tourism sector. Junior Businessmen offer Future Vision for SME's. 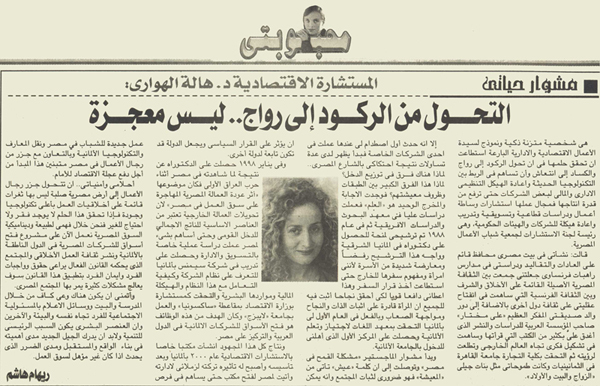 Christoph and Caterina in El Sawy Culturewheel. An initiative to improve consultancy companies. Young businessmen: "we do not seek government adminstration positions, and if it happens the government is the soul beneficiary "
The Junior Businessmen are drawing the future of the SME's. 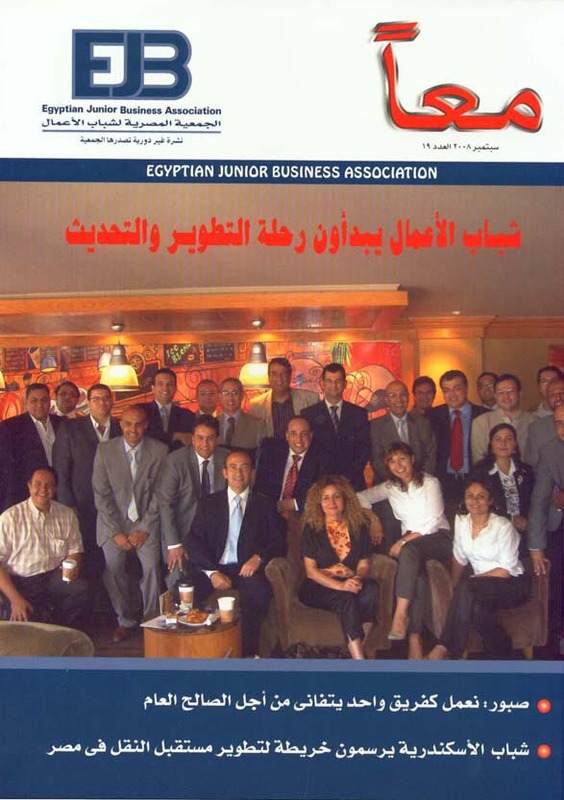 12 Projects before the Steering Committee of the Egyptian Junior Business Association. 8 major axes for consultation committee plan. 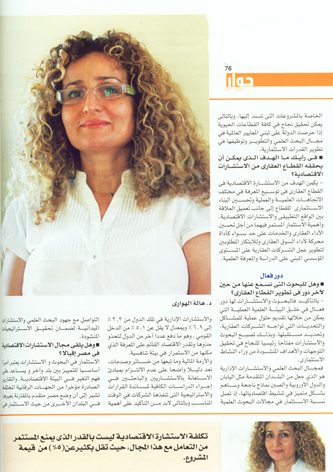 The Gulf Business women are more successfull !!? 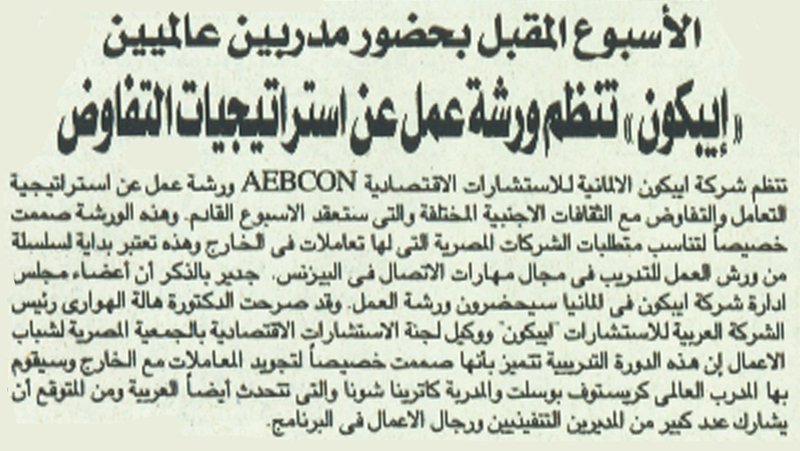 The Arab European business consulting "AEBCON" prepares to establish the Egyptian company's complex in Germany, aiming to open the German markets and increase the Egyptian exports to it. 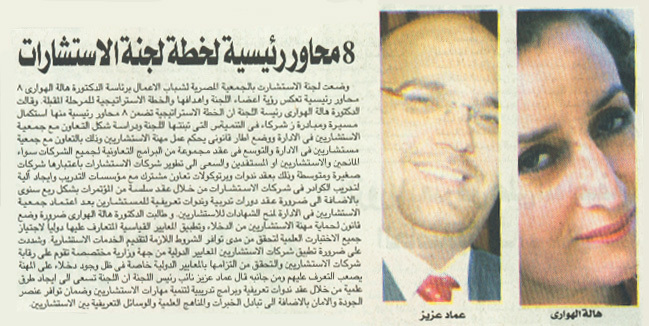 This will also facilitate the presence of the Egyptian companies there. 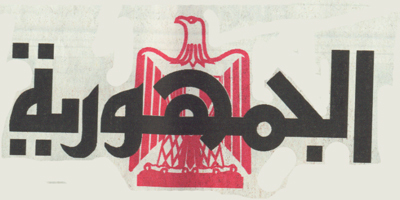 The initial cost is valued at ten million Egyptian pounds. 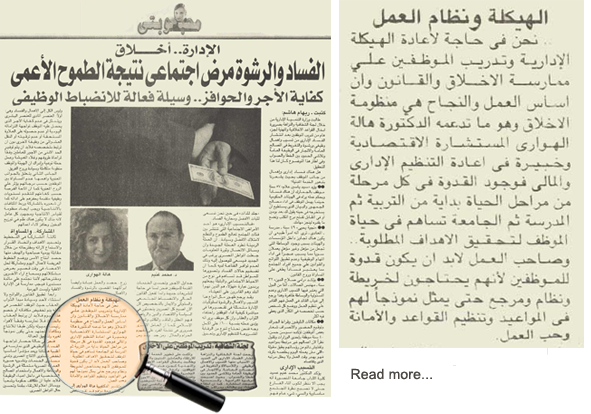 The deputy member of ABECON Dr. Hala El Hawary said: The Company is German – Egyptian (German origin). This project aims to increase the Egyptian exports to Germany through surmounting and removing all obstacles that might face Egyptian companies or its exports in Germany. 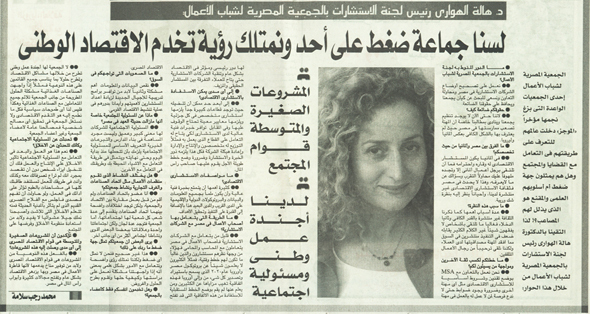 She also pointed that this project is a complex for Egyptian companies. 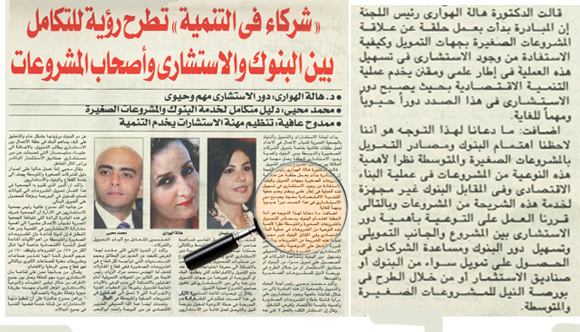 It is an incubator for the Egyptian companies' branches in Germany and under the umbrella of "AEBCON". AEBCON will help set up the companies; hiring employees setting team work, secretaries, accountants, lawyers. ABECON a team of experts will help the companies to bring more clients. 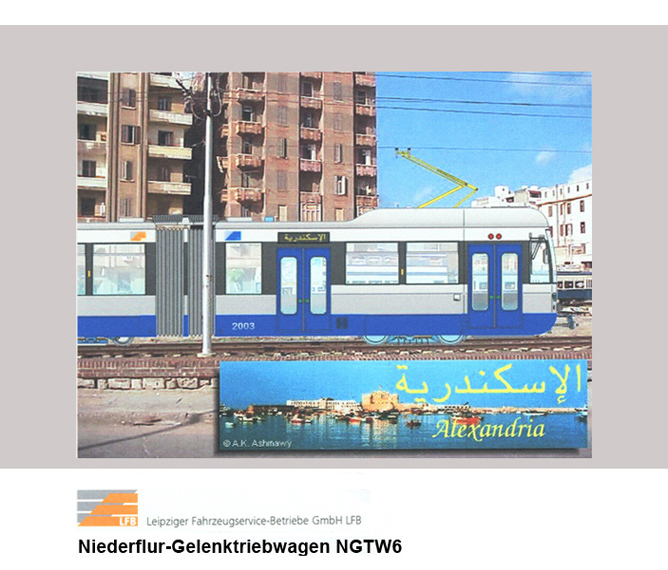 Furthermore, the complex will include all sectors of Egyptian industry like food, Engineering, furniture and printing industries, one of most important AEBCON project was to convince to German company from Leipzig reconstruct and modernize Alexandria Tram away, all in the frame work of supporting the commercial exchange between Egypt and Germany. German AEBCON performs official duties in the Middle East a group of the German enterprises which are active in different branches like hospital equipment, medicine technology, bridge building, power stations and other infrastructure projects. She analyzed different projects in your visit to select the fitting ones of it and to carry out common projects in the emirates. 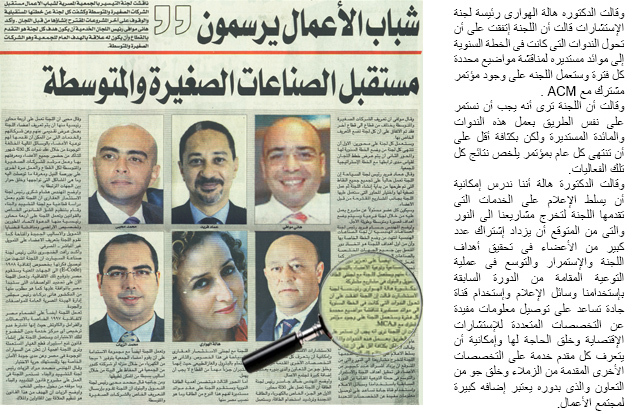 The projects should serve the market in the gulf region. " Besides, VAE are the location for the representation of these enterprises in the gulf region ", like woman Dr. Hala el-Hawari whom representative of the German enterprises mentioned. During her visit in VAE she has dripped persons responsible of the government and from the private sector and has spoken about projects which can realize German enterprises in the gulf region. Dr. el-Hawari explained that in April a German delegation VAE visits, around the investment possibilities which were suggested by the partner companies on site concretizing. Their special interest has dedicated Dr. El-Hawari, besides, to a project for gamma radiotherapy of certain food and medical products. This is an important investment chance for a transit land like VAE. Since many products cannot be exported to the EU, without they are sterilized. She said to the fact that AEBCON the possibilities check for the establishment of similar projects in the land. 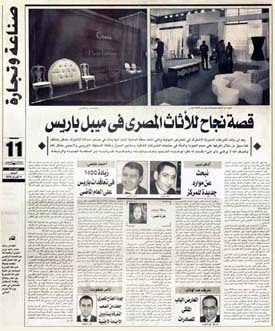 The economic expert, Mr. R. El Zuhairi who investigates the regional possibilities for the activities that of AEBCON represented German enterprises stressed that the government persons responsible who has dripped Mrs. Dr . el-Hawari have repeated as necessary it is to support the transfer of German Know How and German technology about enterprise like AEBCON in VAE. 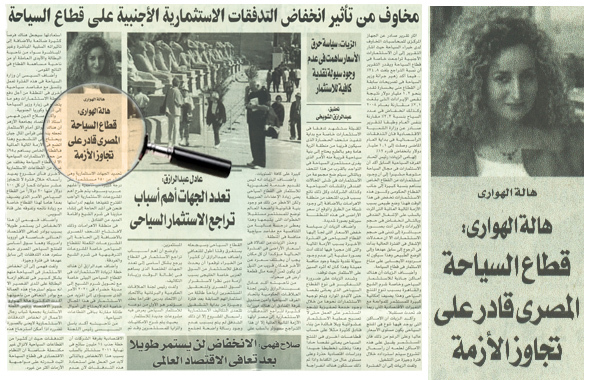 The local economy can profit from the special, world-renowned German technology.Positive experiences with this world-best technology are spread in the Middle East very much, especially in Egypt. He said in addition, " the technology transfer also contain developing operations and improvement operations especially in the area of the project development what we just discuss ". 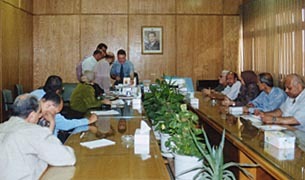 He explained that represents the enterprises, AEBCON, from there her activities in the whole gulf region can start.The industrial consultant of the economic group, engineer Ahmed Sulayman, explained that the visit of the manager from AEBCON has led to reach a primary notification explanation of the common realization of two projects in VAE. The first project is the transfer of the technology for the production of Busschassee and the second one the complete equipment of a hospital in Dubai. The activities of the economic group enclose marketing services, company of the German delegations in her visit in the Arabian lands, juridical consultation during the negotiations and the opening of new markets for the Arabian companies at the German market. LEIPZIG in 2003 - contribution in the top magazine Leipzig - Ausgabe1_13. 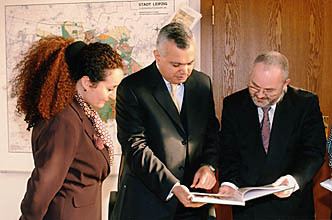 Year spring, 2003 under the column"people - electoral inhabitant of Leipzig "
LEIPZIG January, 2003 - ambassador of Egypt Mohamed Abdelhay M. El-Orabivisited Leipzig to discuss possible communal projects between Alexandria and Leipzig. LEIPZIG August, 2002 - from now on belongs AEBCON to the expert's network all4biz. The network supports the AEBCON scope of business of E-business. all4biz makes easier enterprise the difficult search for the right service providers for her projects in the new media, in the classical IT area and for the communication area. all4biz works like a " virtual factory ". The projects are steered centrally and realized by the connected partner enterprises in narrow vote. Thus even complicated plans can be realized in the highest quality reasonably. 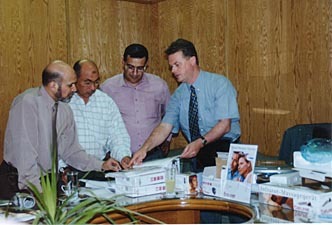 CAIRO May, 2002 - recently as the only representative of the successful German enterprise Beurer GmbH in Egypt active, organized AEBCON for the export leader Mr. Lindner contacts and appointments for a 3-day trip to Egypt. 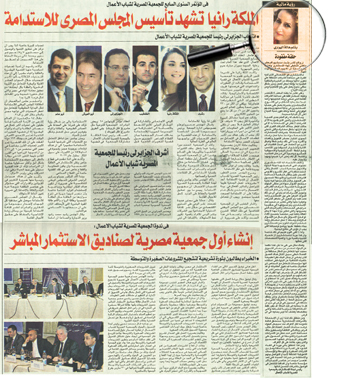 Dr. El-Hawari prepared meetings with select partners before and accompanied the export leader. 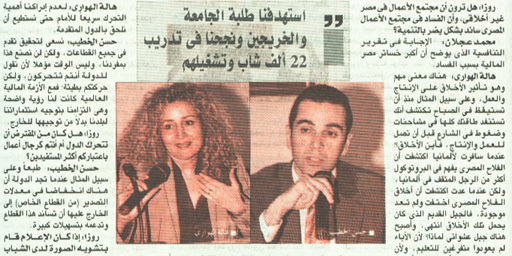 The professional presentation of the range of products of the Beurer GmbH before representatives of 24 distribution branches of a big Egyptian enterprise was very successful. 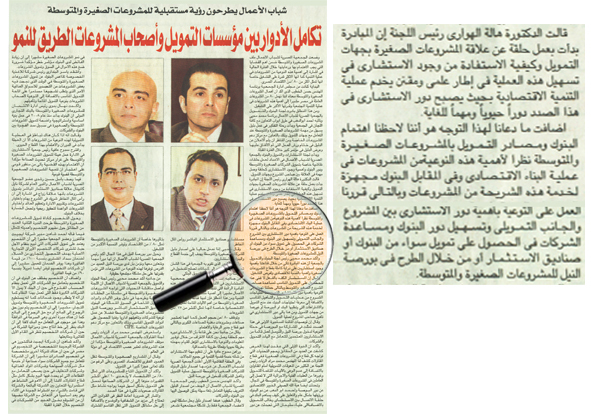 A big order from Egypt could be realized. 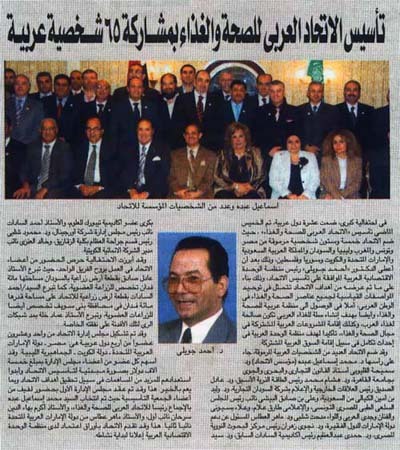 CAIRO April, 2002 - AEBCON closes contract with Egyptian partners. 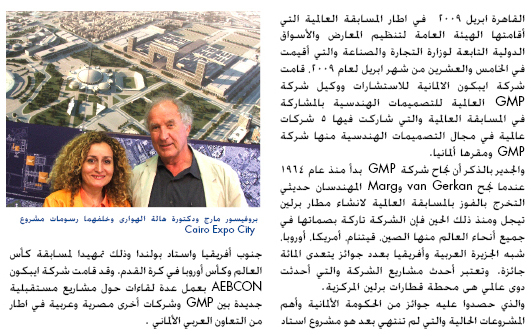 In her scope of business " AEBCON REAL ESTATE SERVICES " will support AEBCON for select, excluding villas, holidays arrangements, hotel, trade real estates and construction projects from the Arabian space the new partners with the marketing of the objects in Europe. 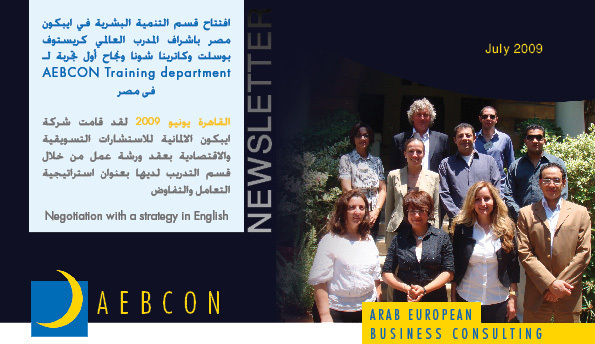 AEBCON will collect on site data and information, concept and production of the distribution media take over (pamphlets, plans, CD-ROM, video, Internet), with European partners cooperate (banks, Fontsgesellschaften be real estate enterprises) and together with the Egyptian partners at contract negotiations and inspections contact for the customers. 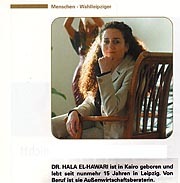 CAIRO February, 2002 - After the 3-day visit of Dr. SENSLAB Geschäftsführes Gründig in Egypt, accompanied by Dr. Hala El-Hawari, AEBCON, both have returned with big contentment to Germany. 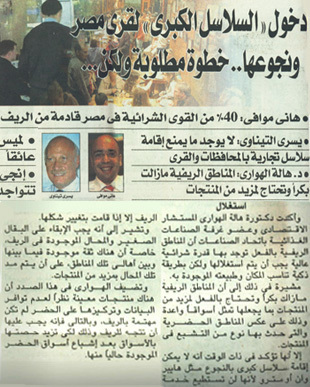 By in Cairo from AEBCON to prepared meetings different promising commercial contacts have originated. The demonstration of the innovative products SENSLAB on site opened new ways for future shops in the Middle East. 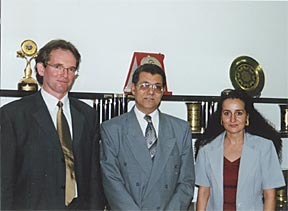 A return visit of the Egyptian partner to tune the strategy of the marketing in the Middle East is planned in April, 2002 in Germany. DRESDEN January 2002 - ULC Groupware GmbH and ULC Multimedia GmbH get new contractual partners of the AEBCON for multimedia and e-business fields. Core competence of the ULC companies is the development of customer oriented multimedia, e-business, communication und organisation solutions, based on HTML, Java, XML, Domino, databases and the newest technologies like ASP. 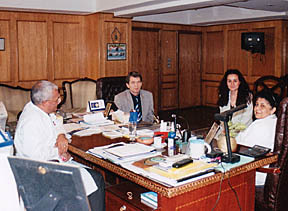 CAIRO October, 2001 - AEBCON initiated in Cairo for the German enterprise, the ULC Multimedia GmbH, represent by manager Kurt Lochte, a successful meeting with the ambassador, general secretary of the union of the Arabian investors and assistant of the Foreign Secretary Mr. Gamal Bayoumi, persons responsible of the " euro-Mediterranean partnership " for Egypt and with Mr. Awad, manager of the Arab African centre for marketing and Consultancy. It was decided to sign together a " character of Of Agreement " which describes the future collaboration of all involved parties in the area of Economic consultation, e-commerce and marketing in projects in Europe and the Arabian world. 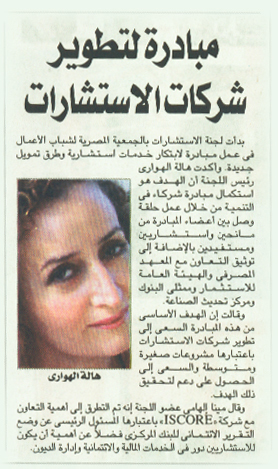 Patron is the Council of Arab Economic Unity whose president is the former Egyptian Secretary of Commerce Dr. Guweyly. 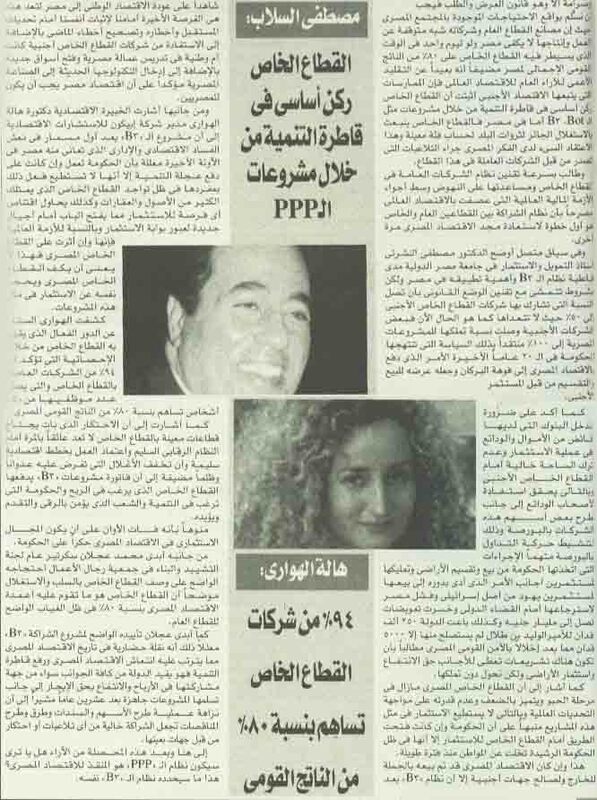 The board of directors one of the biggest Egyptian enterprises for porcelain greets the efforts AEBCON and the ideas of the ULC Multimedia GmbH for the possible extension of your outlets. 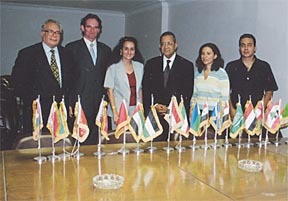 CAIRO October, 2001 - At a successful meeting with the chairman of the board man M. A. Abdel Wahab, Dr. el-Hawari and Mr. Kurt Lochte, was discussed the possibilities of a collaboration and a " character of Of Intent " was signed. 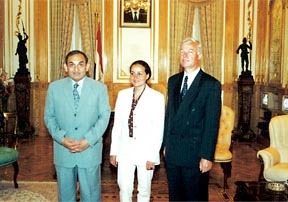 CAIRO 06/09/2001 - AEBCON, representing the German company Lehmann Engineering in Egypt, briefs Mininister for Strategic Industries on future projects. Minister Dr. Sayed Mashaal received Dr. Hala el-Hawari and Mr. Thilo Lehmann, CEO of Lehmann Engineering in Cairo. 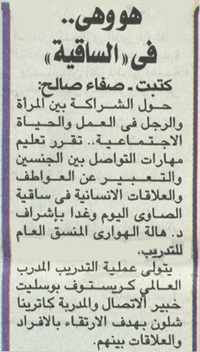 The Minister was interested in cooperation and assured his support for the Lehmann projects in Egypt. 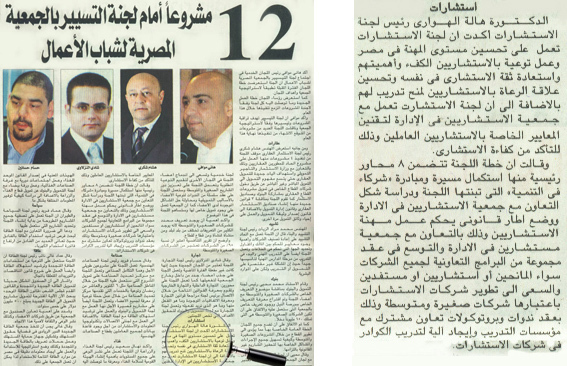 After the visit to the Minister, there were visits to various Egyptian companies. They also showed interest in working with the Lehmann Engineering Group. During the five-day trip to Cairo, concrete projects were discussed, which will be occasion for future visits as well. 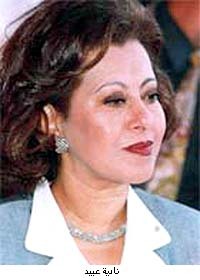 The Egyptian Minister for the Environment Dr. Nadia Makram Ebeyd welcomes AEBCON's work on the environment and offers Lehmann Engineering its complete support. The minister showed great interest in the environmental solutions presented to her, and assured the company of the continued support of the ministry for the projects.